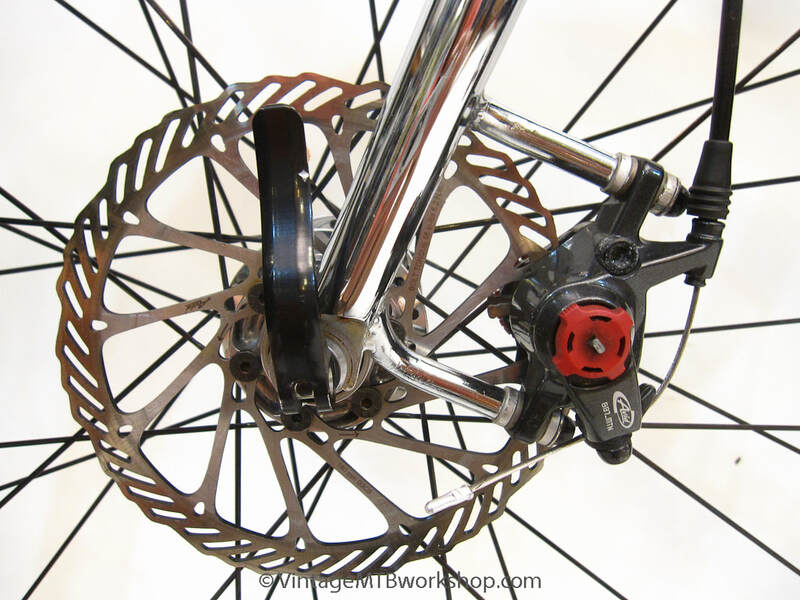 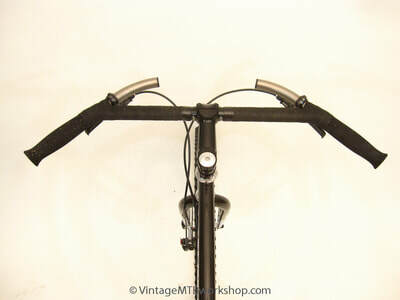 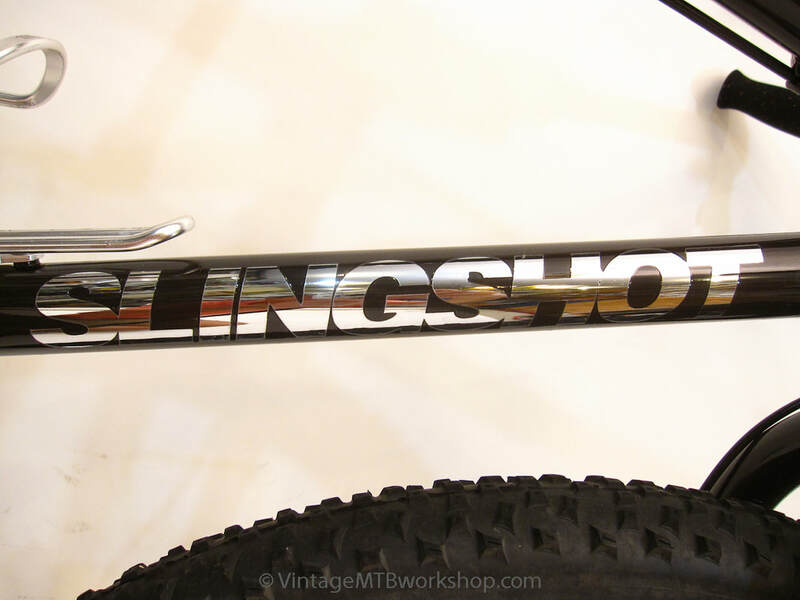 For many years, the company Slingshot Bikes created innovative models based on their "Sling Power" concept whereby the downtube was replaced by a cable in tension and the toptube was hinged to allow an inchworm effect. 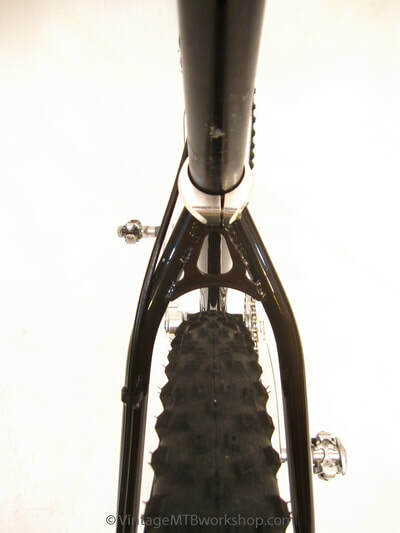 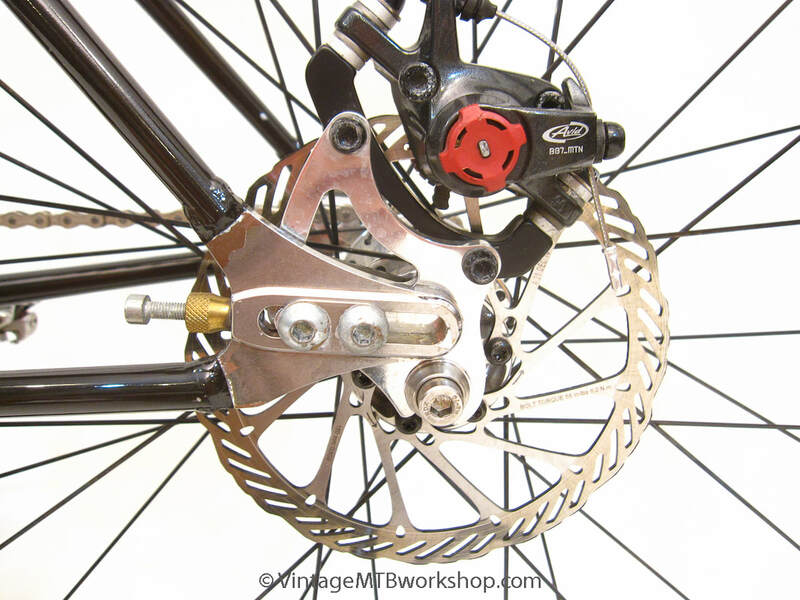 Using this design, they produced models for mountain, road, triathlon, BMX, cross, and even trials. 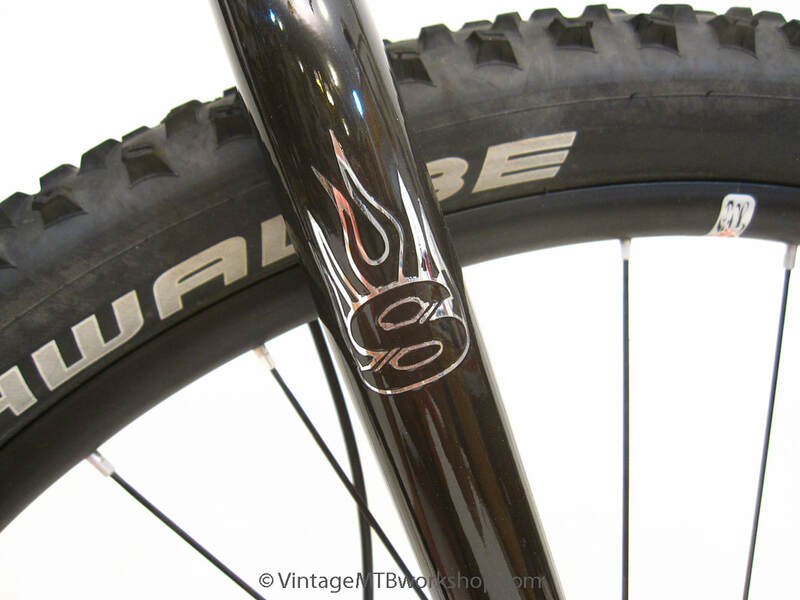 With the rising popularity of cyclocross racing in the early 2000's, the company fielded a team on their unique frames only to have them outlawed from competition for lack of a downtube. 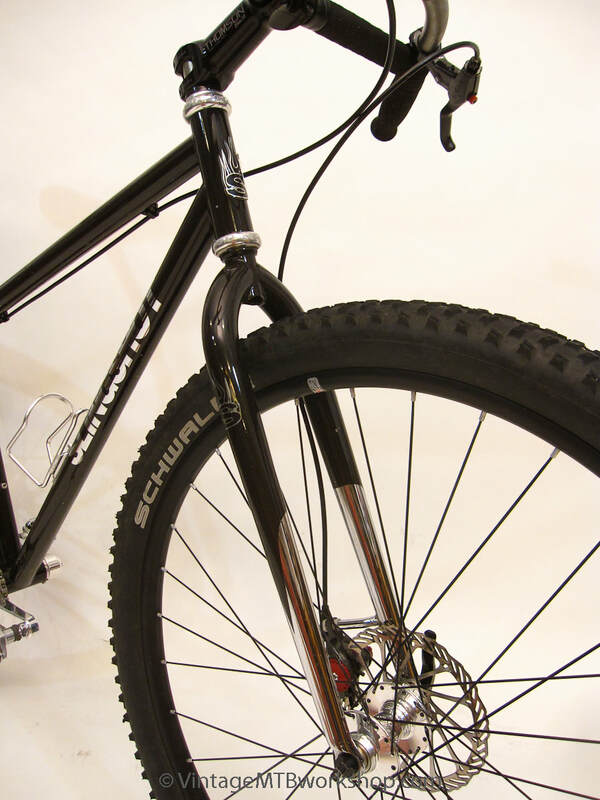 To circumvent this difficulty, Slingshot created a plastic tube that sleeved the cable and looked like a frame tube. 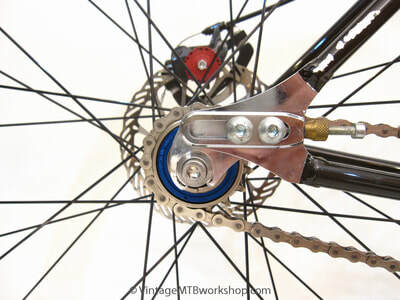 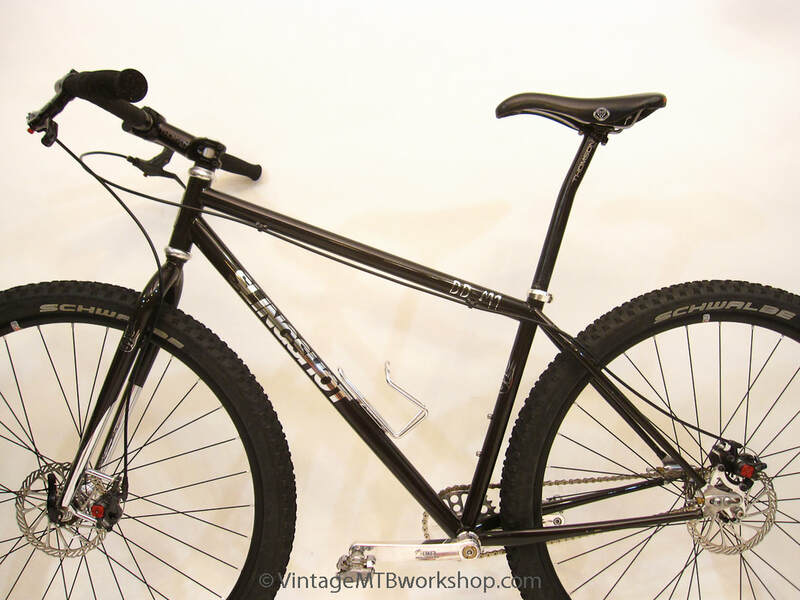 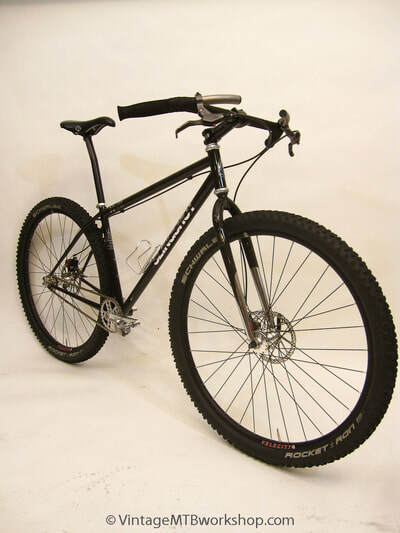 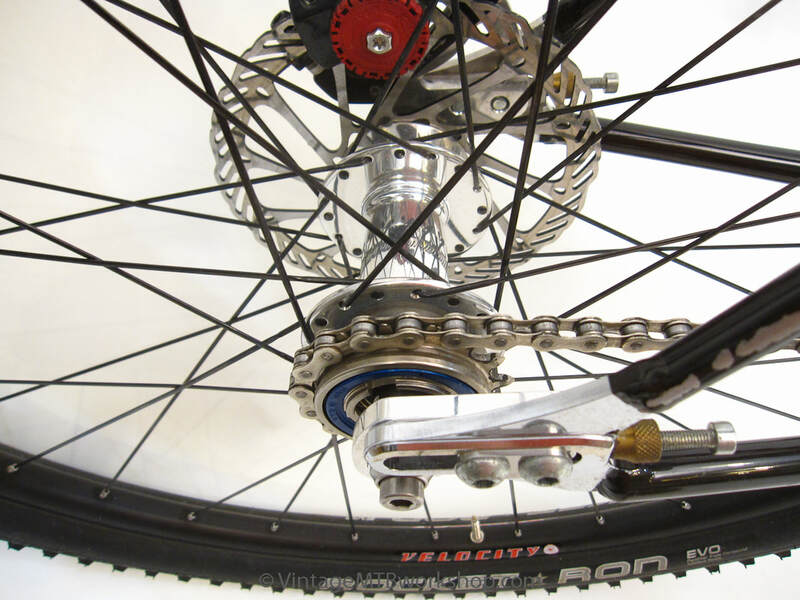 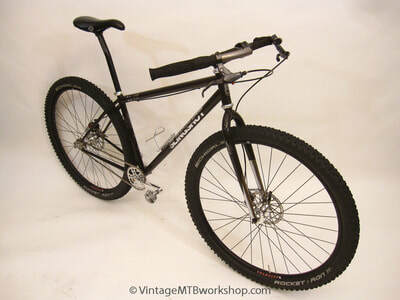 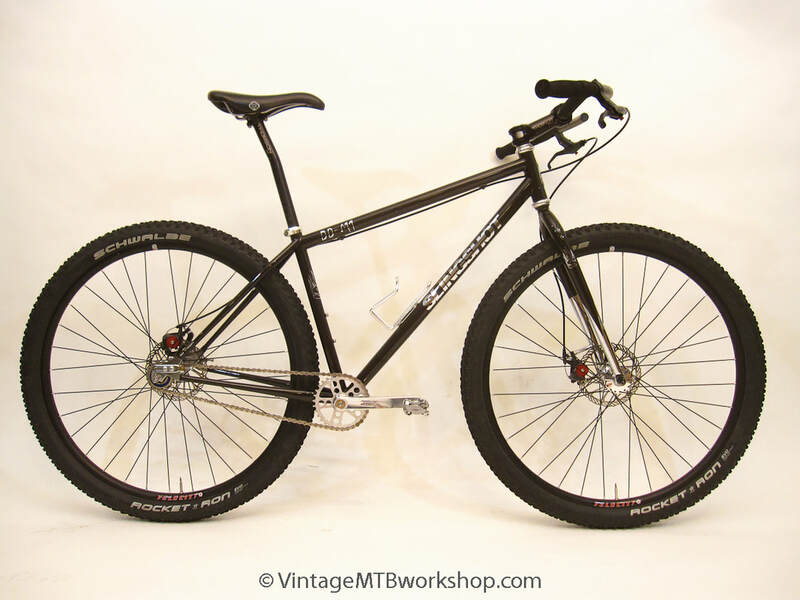 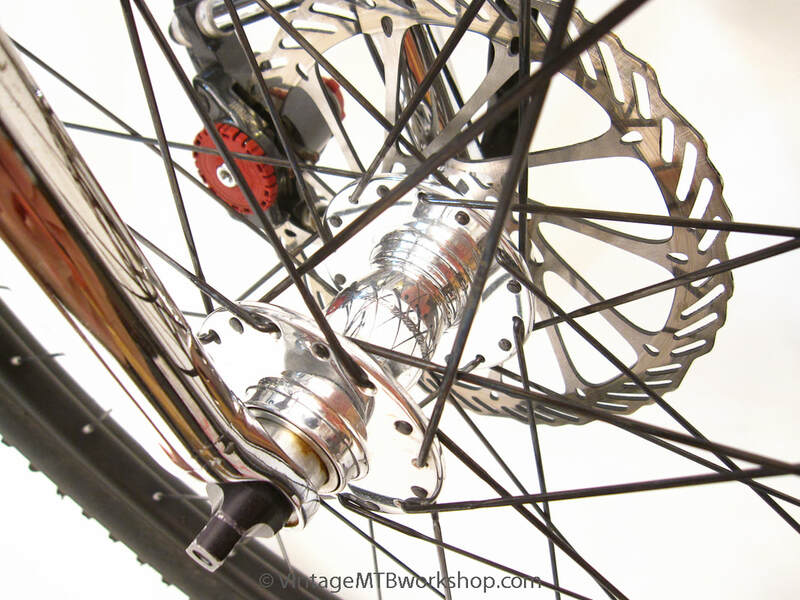 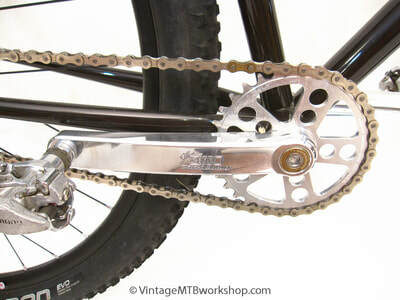 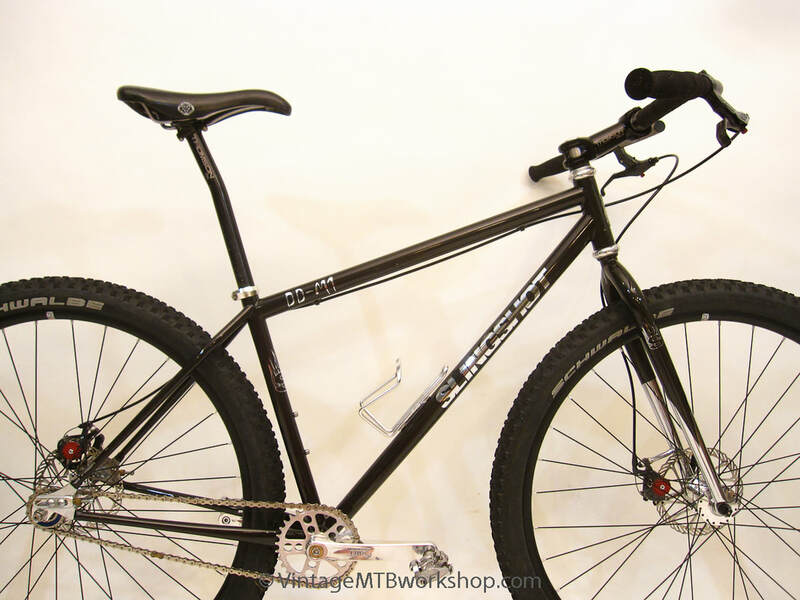 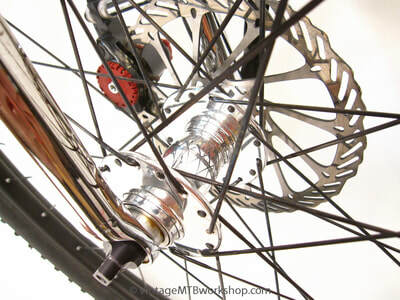 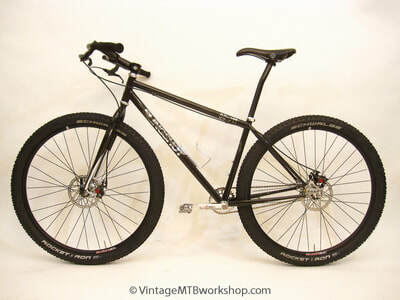 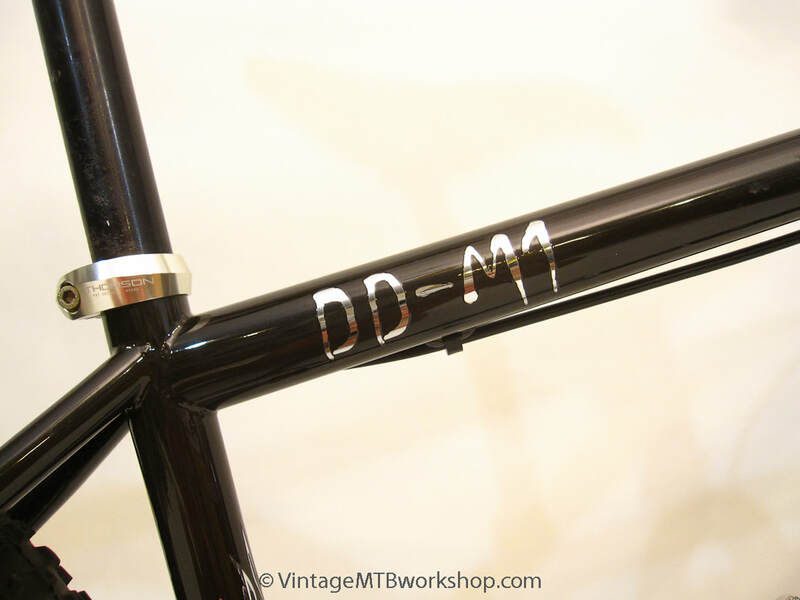 Eventually, Slingshot would produce frames that were made with traditional diamond frames, like this single speed 29er known as a DD or Double Diamond. 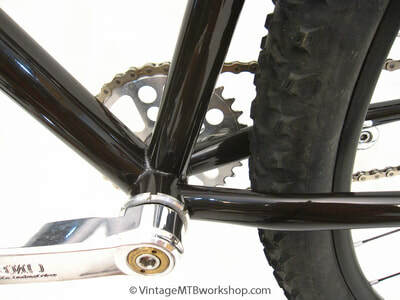 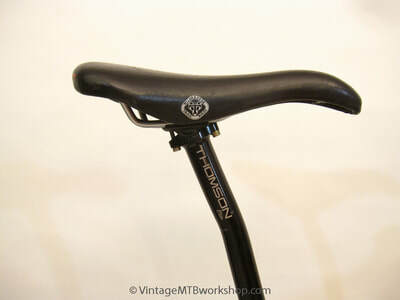 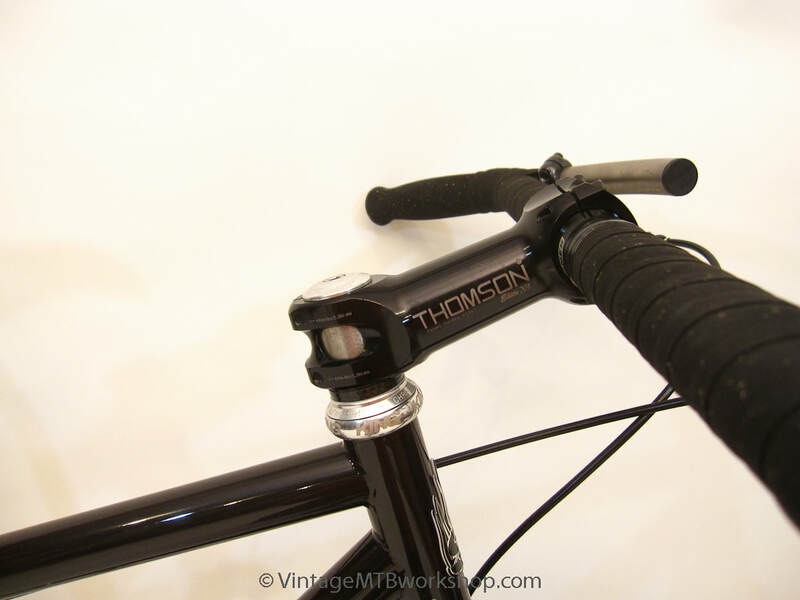 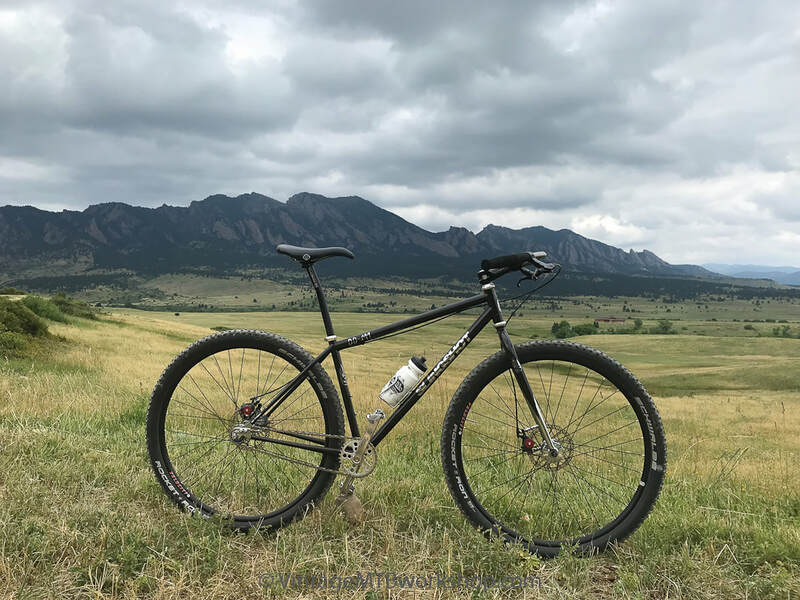 This frame was constructed by Steve Garne of Brew Cycles and features chrome plated graphics and made in USA parts from White Industries, Thomson, Chris King, Jones, and Velocity USA.